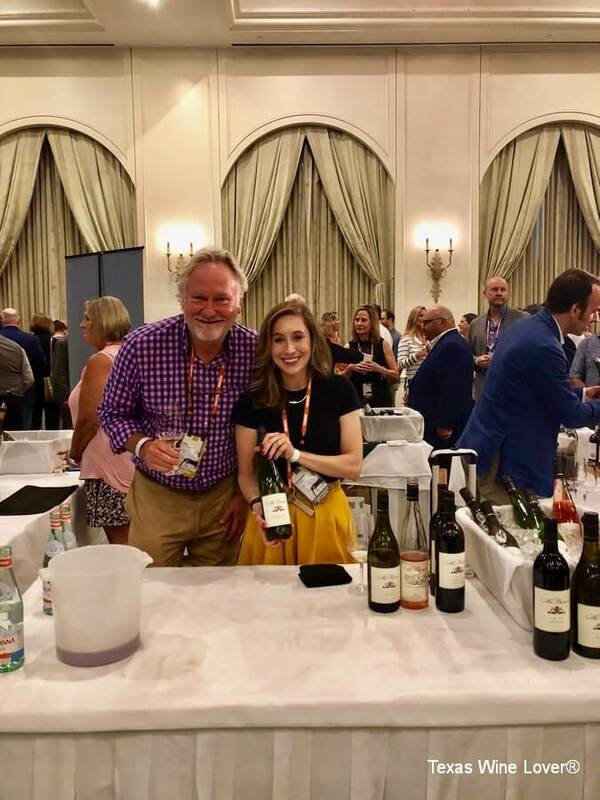 Texas wines were proudly featured at the annual TEXSOM conference in Dallas last week. 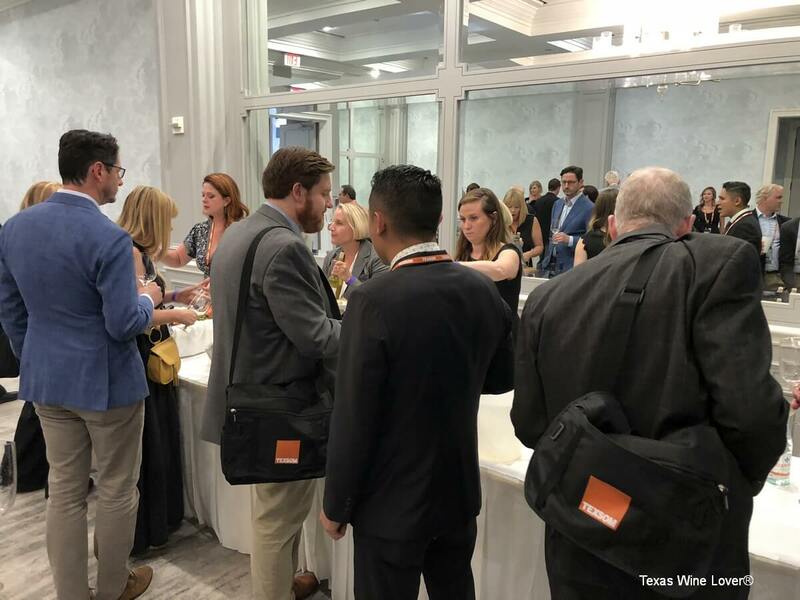 More than 1,300 attendees descended on the Four Seasons Resort & Club at Las Colinas to advance their wine careers through tastings, lectures, and networking opportunities. 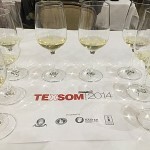 It was my first TEXSOM experience, and I was pleased to see many fellow Texas wine lovers in attendance. 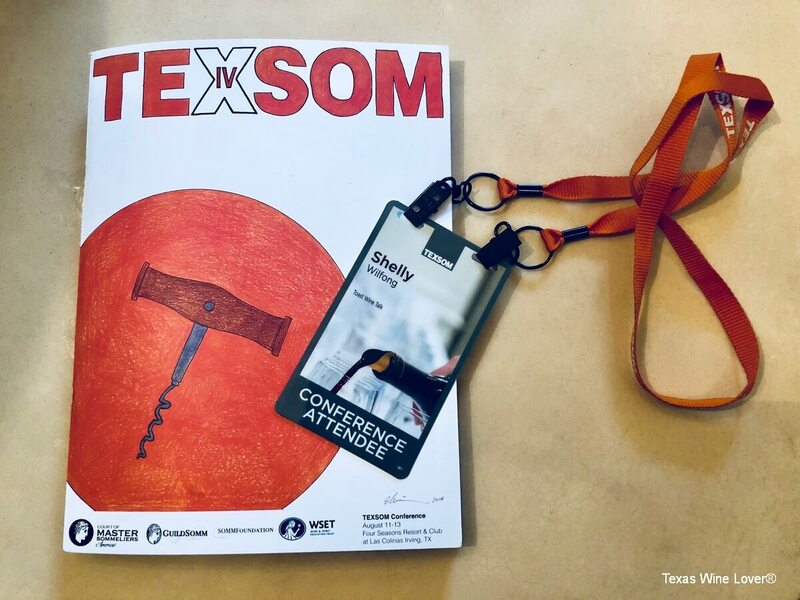 Founded in 2005 by Master Sommeliers Drew Hendricks and James Tidwell, TEXSOM is a wildly successful educational conference for sommeliers, wine buyers, wine students, and others interested in taking a deep dive into various topics of interest to wine industry professionals. The conference has grown increasingly popular well beyond the Great State of Texas. Attendees travel to TEXSOM from across the nation and even across the ocean. Jessica Dupuy, who covers Texas wines for Texas Monthly magazine, was the main speaker. Francis Percival, an esteemed wine writer and wine judge from London, was moderator. 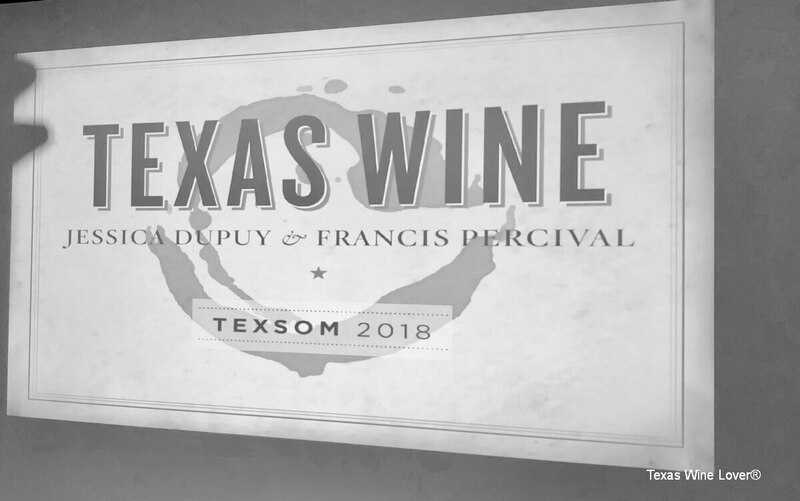 Mr. Percival was one of the judges at the February 2018 TEXSOM International Wine Awards (IWA) where he judged over 200 Texas wines. Many of the wines tasted at the Texas session were award winners. Ms. Dupuy began the Texas session by asking how many people present were unfamiliar with Texas wines, and perhaps 30% of the room raised a hand. Among them was UK-based Sarah Jane Evans, Master of Wine, who was seated next to me. An award winning wine writer and producer, Ms. Evans was in Texas for the first time, and she was curious to taste Texas wine. Other participants at my table included a grape grower from just west of Fort Worth, top wine bloggers from Texas and New York, and Kassandra McPherson, daughter of Kim McPherson of McPherson Cellars. After giving an overview of Texas wine history, Texas AVAs, and statistics on wine production, Ms. Dupuy talked about challenges in the vineyard and winery. 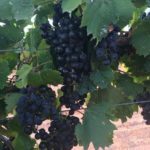 These include weather struggles, overcropping, the long distance that grapes often travel to the winery, and a tendency for Texas winemakers to overuse oak. 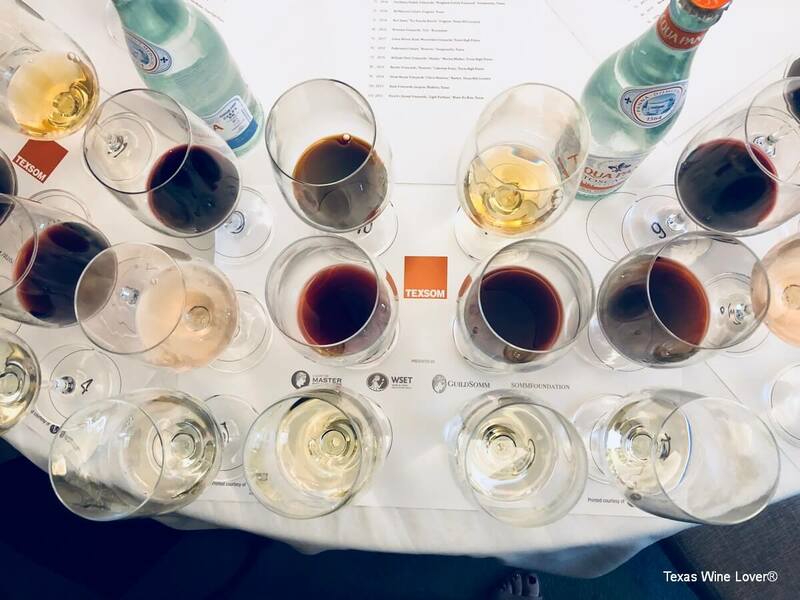 Mr. Percival suggested the Texas wines that won awards in the TEXSOM International Wine Awards showed a new approach to winemaking with a focused purity of fruit and a light touch with oak. 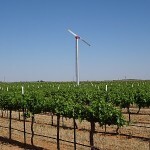 He echoed the growing sentiment that Texas should start focusing on single site vineyards. Lost Draw Vineyards, Newsom Vineyards, Lahey Vineyards, Bingham Family Vineyards, and Reddy Vineyards were highlighted during the presentation. Ms. Dupuy challenged participants to consider the size of Texas and its array of climates and terrain. Texas is roughly the same size as France, and France is known for many different wine regions and varieties. 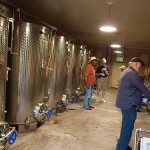 Texas can grow a wide variety of grapes and can make several styles of wine. Texas must also continue to make and promote great quality wines to improve consumer perception of quality. 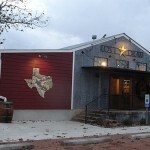 It is critical that Texas wines appear both on restaurant wine lists and at retail sites. Texas wine also had a positive reception at the seminar on New World Sparkling Wines. The McPherson sparkling Chenin Blanc was among 15 wines evaluated. The wine received positive feedback from both wine professionals on the panel and audience members. 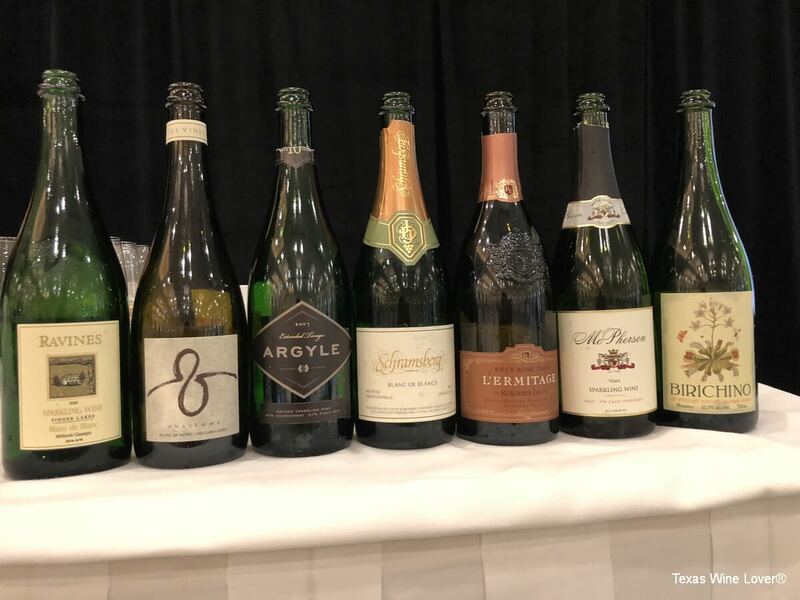 During the session, one panelist stated that the wine should do well because she believed people in Texas would like to drink a Texas sparkling wine. Master Sommelier Laura Rhys quickly exclaimed that people in London would like it too! Jennifer Uygur, co-owner of Dallas restaurants Lucia and Macelliao, also praised the McPherson sparkling Chenin Blanc. She would like to pair it with her restaurants’ famed charcuterie boards. I later learned that Kim McPherson himself was present in the ballroom and heard the positive reviews firsthand. 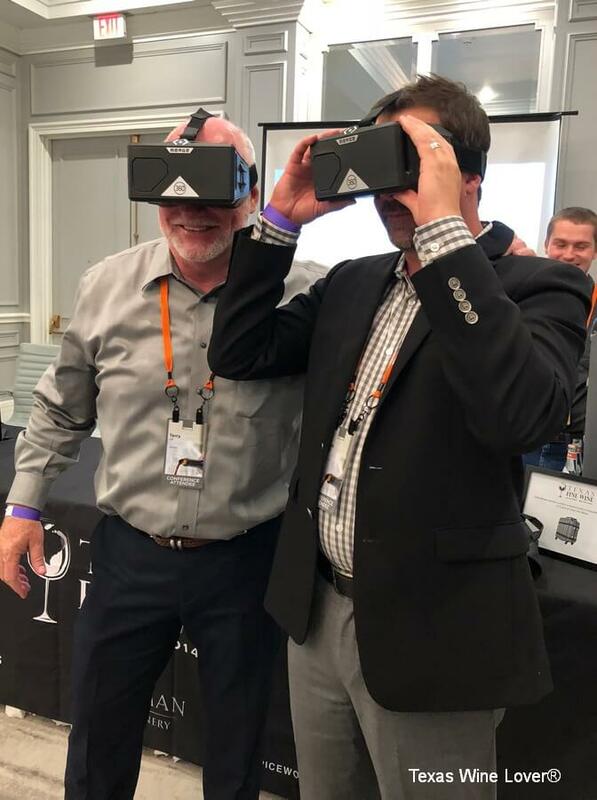 Texas Fine Wine, the marketing organization that promotes wines from Bending Branch Winery, Brennan Vineyards, Duchman Family Winery, Pedernales Cellars, and Spicewood Vineyards, sponsored a tasting suite during the second night of the conference. The suite featured a fun and interactive element, a virtual reality tour through vineyards on the Texas High Plains. Jennifer McInnis Fadel, General Manager of Bending Branch Winery, answered questions about cryomaceration and Texas wine history. Ron Yates of Spicewood Vineyards was pouring a Tempranillo and a Tempranillo blend to fans and new converts to Texas wine. Each winery represented by Texas Fine Wine was busy educating and engaging with attendees. The conference closed with a Grand Tasting event, and several Texas wineries were pouring at this event as well. 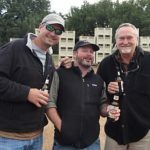 William Chris, Lewis Wines, Pedernales Cellars, McPherson Cellars, and Messina Hof were spotted. During the final event, Kenneth Freeman of Sixty Vines in Uptown (Dallas) was named TEXSOM Best Sommelier. Lindsay Drew of Guild (Austin) was runner up, and Morgan Gray of Pappas Bros. (Houston) finished in 3rd place. Congratulations to these Texans and to the Texas wine industry for a great showing at TEXSOM!